We’ve completely redesigned and relaunched the Pogo App to bring you a better experience. Purchase access and download Pogo Card: Raise & Save Money from the iOS App Store or Google Play Store to get started today! 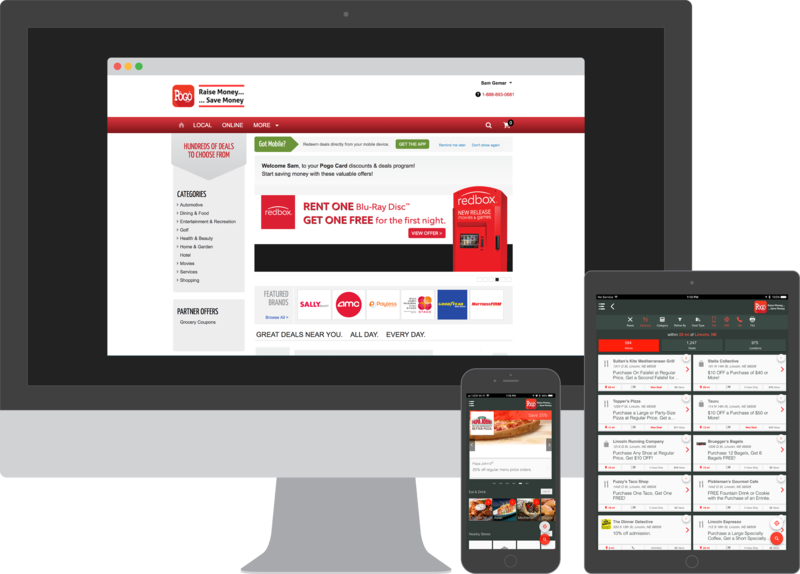 Use your mobile device to save at 350,000 Nationwide Discount Locations. Find the best discount offers by browsing ten different categories! Tap the heart icon on any offer to save it to your favorites for quick access from the menu bar! The same local discount offers from Pogo Card – all on your mobile device! Looking for a specific business or restaurant? Easily search and sort offers. Each time you redeem an offer, the savings tracker adds it to your savings total! With thousands of offers, the potential for savings is nearly unlimited! Enable location services on your devices to see discounts near you – wherever you are! The Pogo App is accessible from your computer, tablet, and smartphone! With over 350,000 national discount offers and 600+ local discount locations, the Pogo App offers nearly unlimited savings. Always forgetting coupons or your paper Pogo Card? Your phone is always with you, and so is the Pogo App – packed with thousands of dollars of savings. Sort discount offers by category, location, and more. Out and about? See offers near you by enabling location services. Dining for two? View offers by type and discount level. Hungry for pizza or something specific? 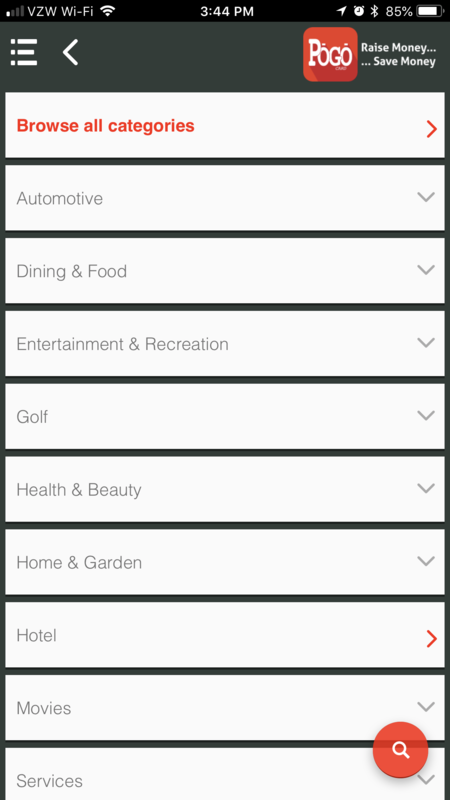 Browse offers by category. The Pogo App is designed to help you find what you’re looking for – whether you know it or not! The Pogo App is now a cross-platform system, which means you can access your deals on almost any device! 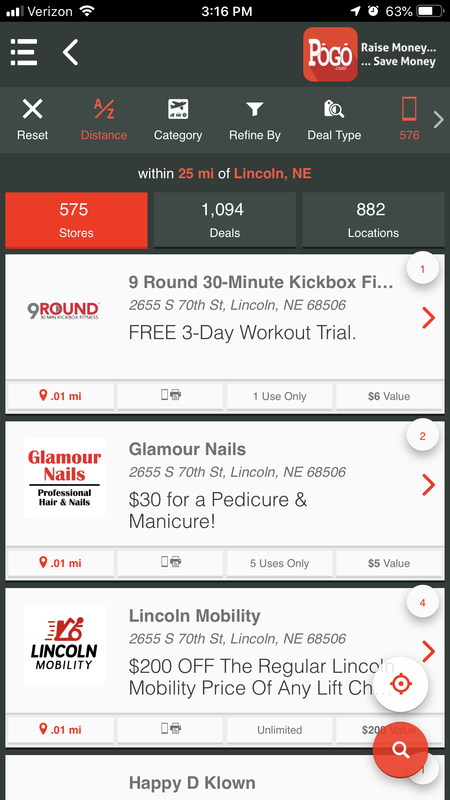 Find and redeem deals on the go with your smartphone or tablet, or browse and print coupons from your computer at home. Purchase app access online, at our office, or via a fundraising organization. Choose either the instant or pint delivery option. Visit the iOS (Apple) App Store or the Google Play Store and download Pogo Card: Raise & Save Money (red icon). 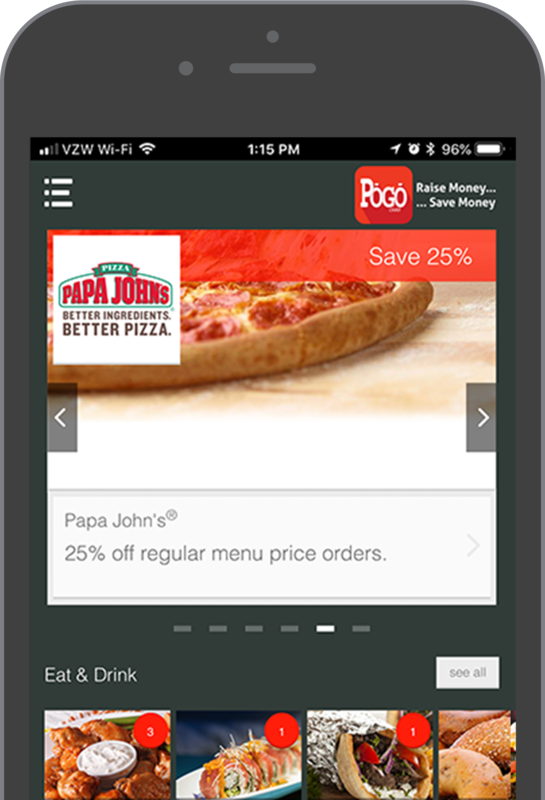 Once you’ve purchased app access, register within the Pogo App or do so online by visiting Deals.PogoCard.com. Start saving by finding your favorite deals! Save your favorites for quick access or use the location search to see what’s nearby! Already purchased access? Download the Pogo App now from the iOS App Store or the Google Play Store to get started today.